This composition caught my eye along a trail near Tofino. Reviewing it at the end of the day, I had trouble explaining why this appealed to me as much as it did. 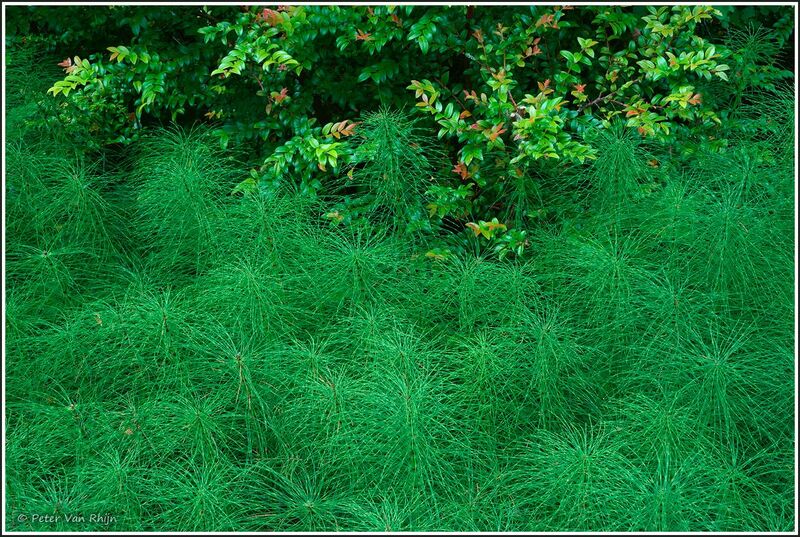 The next day I took a picture of plain horsetails. A pattern shot. It was boring. So the huckleberry (also known as Vaccinium Ovatum) was critical to the success of the image. Knowing precisely what the Ingredients are will help with your editing decisions: during the editing stage your aim is to strengthen your Ingredients. In this image there were some huckleberry leaf mergers at the top corners which were subdued in brightness. Sony ILCE-7R M2, Lens: FE 24-70mm F4 ZA OSS at 50 mm, ISO 200, f18, 1 sec exposure, tripod.